Prosecutors on Friday arrested the de facto head of South Korea's largest conglomerate, Samsung, on bribery and other charges related to a political corruption scandal that triggered the impeachment of President Park Geun-Hye. 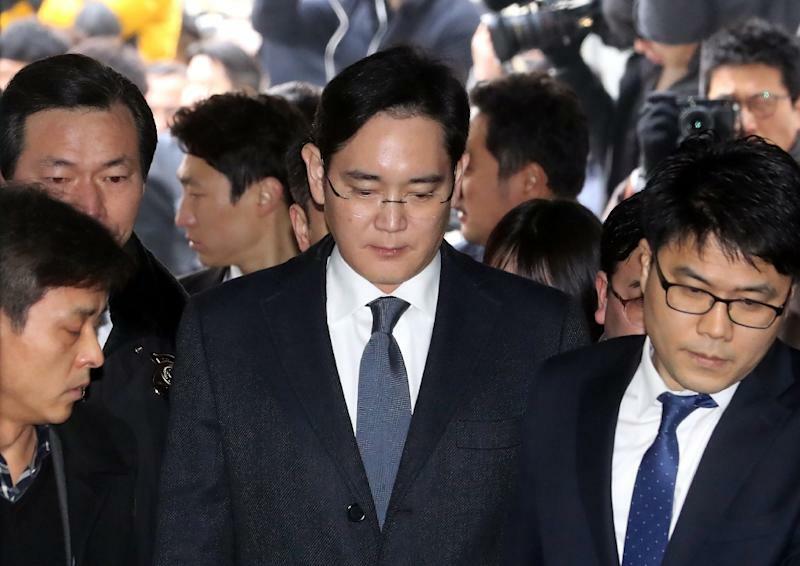 In a fresh blow to the electronics giant's corporate image, a district court cited new evidence in approving the arrest warrant against vice-chairman Lee Jae-Yong, who oversees the family-run conglomerate in the absence of his ailing father. Among other allegations, Lee is accused of paying nearly $40 million in bribes to a confidante of President Park's to secure policy favours. "It is acknowledged that it is necessary to arrest (Lee Jae-Yong) in light of a newly added criminal charge and new evidence," a court spokesman said in a statement. Shares of many Samsung units took a hit on the Seoul stock market following the news, with the group's flagship Samsung Electronics sliding 0.4 percent. Its de-facto holdings firm, Samsung C&T, dropped two percent and another key unit, Samsung Life Insurance, fell 1.4 percent. "We will do our best to ensure that the truth is revealed in future court proceedings," the group said in a statement. Lee was already being held at a detention centre after appearing in court Thursday as judges deliberated whether to issue an arrest warrant. He will remain in custody as he awaits a trial likely to begin within a few months. Prosecutors said they planned to summon him Saturday for further questioning, raising the prospect of Lee appearing in public in handcuffs -- a rare sight in the nation dubbed the "Republic of Samsung" due to the group's huge lobbying power. Lee, the son of Samsung group boss Lee Kun-Hee, has been quizzed several times over his alleged role in the scandal. The 48-year-old, described as a key suspect, narrowly avoided being formally arrested last month, after the court ruled there was insufficient evidence. But prosecutors on Tuesday made a second bid, saying they had collected more evidence in recent weeks. His arrest, the first for a Samsung chief, will send shock waves through the group, which is a major part of the South Korean economy and includes the world's largest smartphone maker, Samsung Electronics. "This is a blow to Samsung's image as a global player in the short term", HMC Investment Securities' analyst Greg Roh told AFP. IBK Investment Securities' Lee Seung-Woo said that given the cloud over Lee, at a time when the firm is attempting a complicated restructuring, Samsung could refrain from pursuing long-term investments such as overseas mergers and acquisitions. 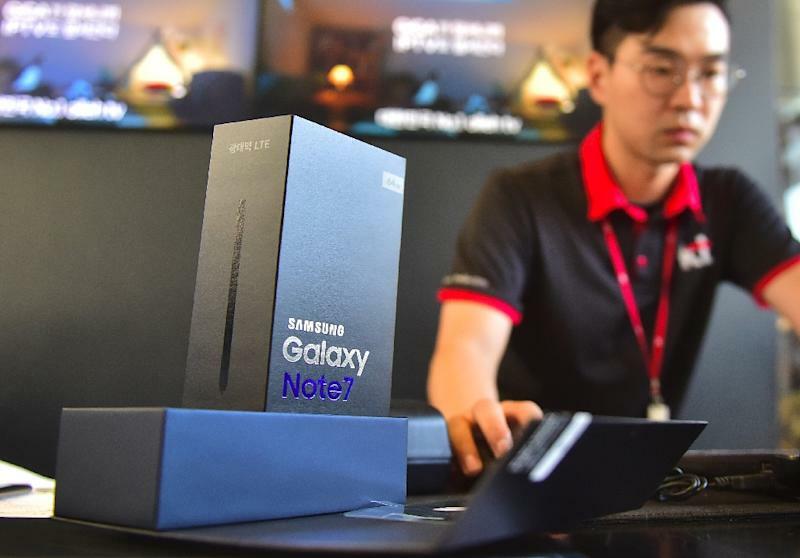 The company is already reeling from the debacle over the recall of its flagship Galaxy Note 7 device and reports have suggested it could face sanctions from overseas authorities if Lee is punished. Lee's father and grandfather repeatedly had close brushes with the law but were never jailed. The scandal centres on Choi Soon-Sil, who is accused of using her close ties with Park to force local firms to "donate" nearly $70 million to non-profit foundations which Choi allegedly used for personal gain. Samsung was the single biggest donor to the foundations. It is also accused of separately giving millions of euros to Choi to bankroll her daughter's equestrian training in Germany. The court turned down prosecutors' demand for a separate arrest warrant for another Samsung executive, who is also the head of the Korea Equestrian Federation, citing his limited role in the scandal. Lee has effectively taken the helm of Samsung -- South Korea's biggest business group -- since his father suffered a heart attack in 2014. Prosecutors are probing whether Samsung had paid Choi to secure state approval for the controversial merger of two Samsung units seen as a key step towards ensuring a smooth power transfer to Lee. The merger in 2015 of Samsung C&T and Cheil Industries was opposed by many investors who said it wilfully undervalued the former unit's shares. But the deal went through after Seoul's state pension fund -- a major Samsung shareholder -- approved it. 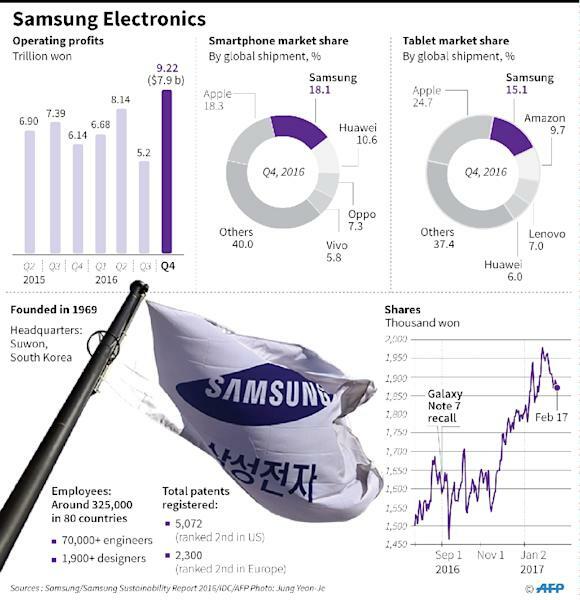 Samsung is South Korea's largest business group and its revenue is equivalent to about a fifth of the country's GDP. Lee's arrest was seen as a blow to Park who is staging an uphill battle at the Constitutional Court to overturn her impeachment by parliament. The Constitutional Court on Thursday said it would wrap up hearings on the impeachment case Friday next week, sparking expectations that it will reach a verdict around March 10.